BL Smooth releases new R&B single ‘Insecure’ ft. BigMacBZ | Sonic Smash-Music! 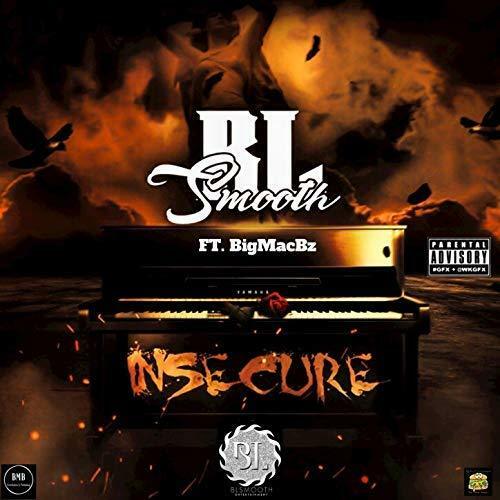 The songwriter and producer of hip hop and R&B known as BL Smooth has released his latest official single, “Insecure.” In addition to the considerable talents of BL Smooth, himself, the track also features a performance by BigMacBZ. The single has been proudly published as an independent release without the involvement of the corporate music industry on the BigMacBz Entertainment record label. Smooth, soulful, and chock-full of pop hooks, “Insecure” showcases BL Smooth and BigMacBZ as one of the most intriguing hip hop collaborations of the year so far and promises that they have plenty more where that came from. Hip hop’s BigMacBz cites as main artistic influences NWA, Eazy E, Beastie Boys, E40, RBL Posse, IMP, CBO, Brother Lynch Hung, Mr Doctor, DJ Screw, PM Dawn, Michael Jackson, AL Green, Temptations, Smokey Robinson. BL Smooth’s own sound takes elements from each of these and adds something fresh and unique for a result unlike anything today’s music fans have heard before. With an emphasis on groove, back beats, urban poetry and sheer attitude, “Insecure” by BL Smooth has a little something for everybody. “Insecure” by BL Smooth feat. BigMacBz on the BigMacBz Entertainment label is available from over 600 quality digital music stores online worldwide now. Get in early, hip hop fans. This entry was tagged bigmacbz, bl smooth, indie hip-hop, indie rnb, insecure, new rnb.